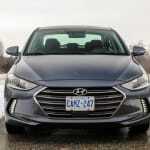 It is without doubt that the Elantra is going to continue to sell well, and lead Hyundai’s growth. 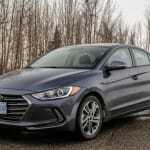 The Elantra has been a staple in the Hyundai lineup for decades now, and has succeeded in becoming a very serious competitor in the compact sedan segment. 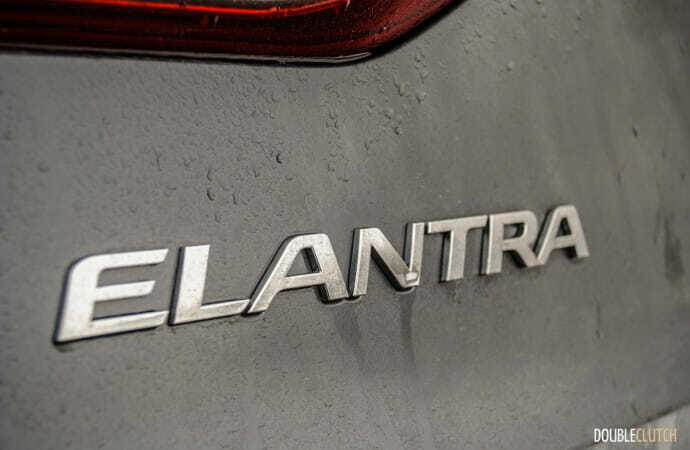 The previous generation Elantra was probably the most impactful yet, receiving plenty of praise from the industry, and no doubt stealing significant sales from institutionalized nameplates like Civic (reviewed here) and Corolla. 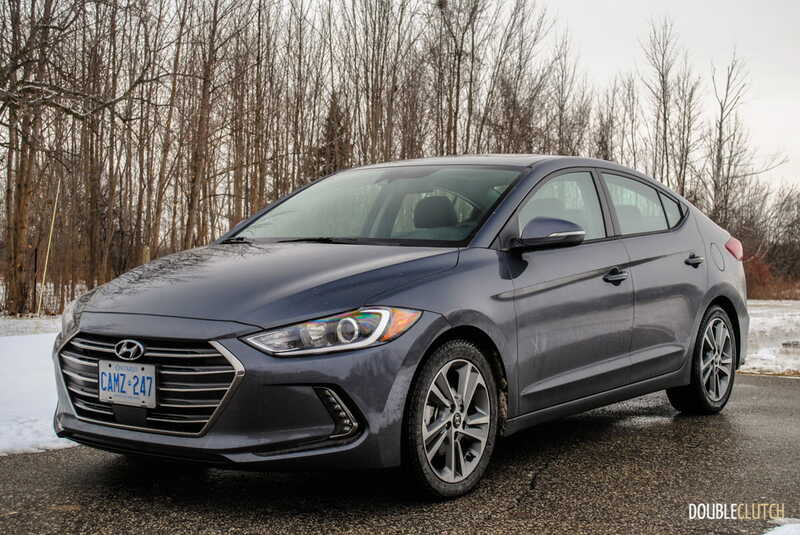 Hyundai’s formula of high content, low price and competitive quality has proven a success, and with the latest generation hitting the streets, we decided to spend a week with the 2017 Hyundai Elantra SE. 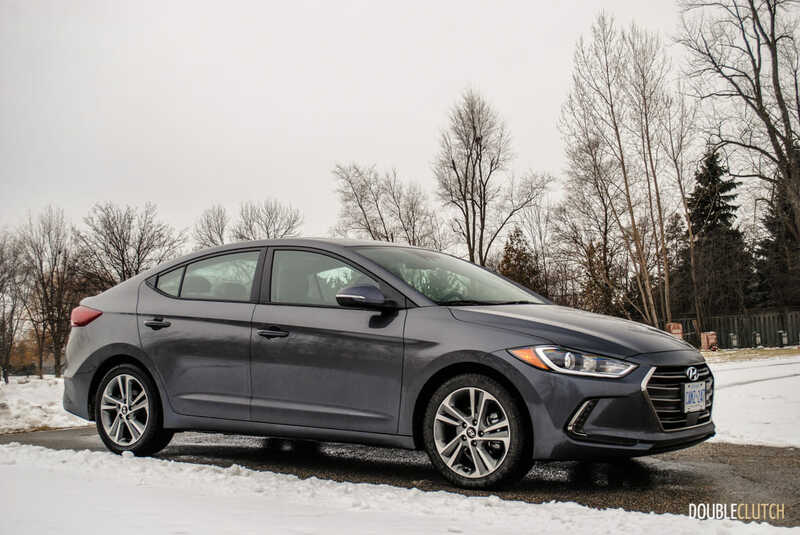 Now, the Elantra’s formula for success doesn’t exactly require it to look particularly edgy, so what the styling of this latest version does is build on some of the more refined styling cues defined by the new Genesis sub-brand (reviewed here). 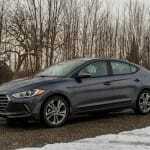 The intention is well executed, and the Elantra really does look a bit like a mini-G90. 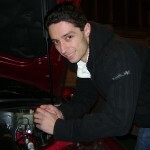 The proportions are good, the lines flow well, and the overall look is very agreeable. 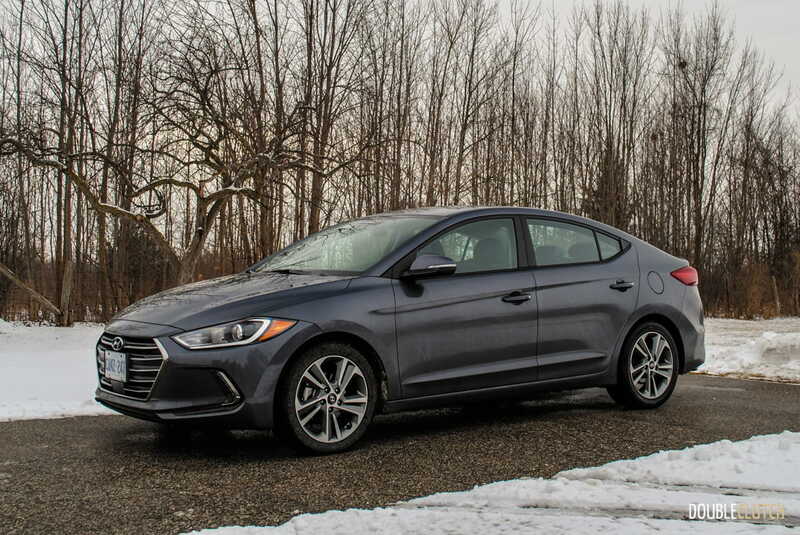 Compared to the wildly styled Civic, the Elantra definitely tends to look a little bit generic, especially when finished in “Iron Grey” like this test car, which might be perfect for some buyers. 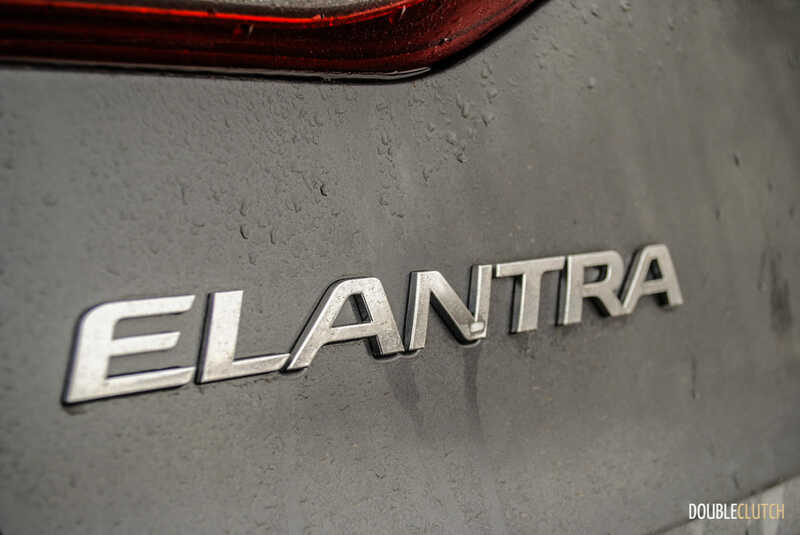 The one thing slightly awkward about the Elantra’s exterior styling is the LED daytime running lights. Standard on all Elantra models except for the very base models, they look a little awkward. 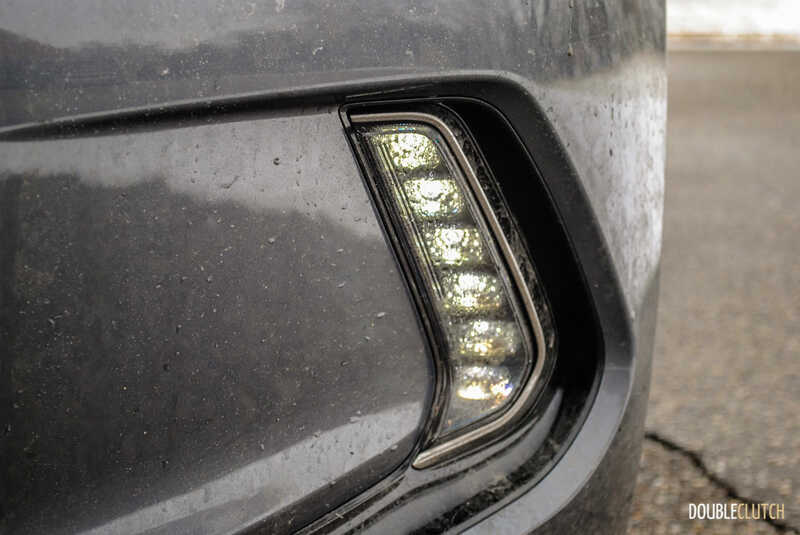 The LEDs themselves do not look as nice as those used by other manufacturers, so they actually serve to cheapen the look of the front end. 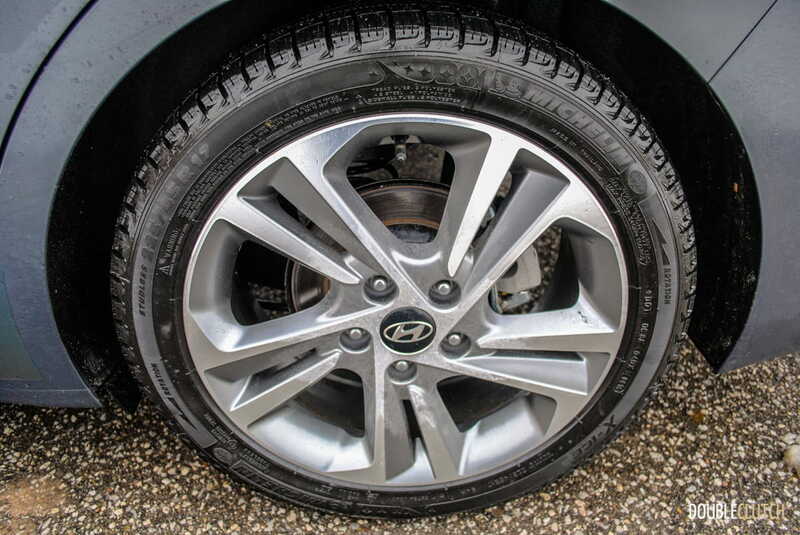 I do like that the biggest wheel you can option on an Elantra is a 17” set equipped here; they look good and don’t compromise the ride quality like the 18” and 19” units used by some competitors. 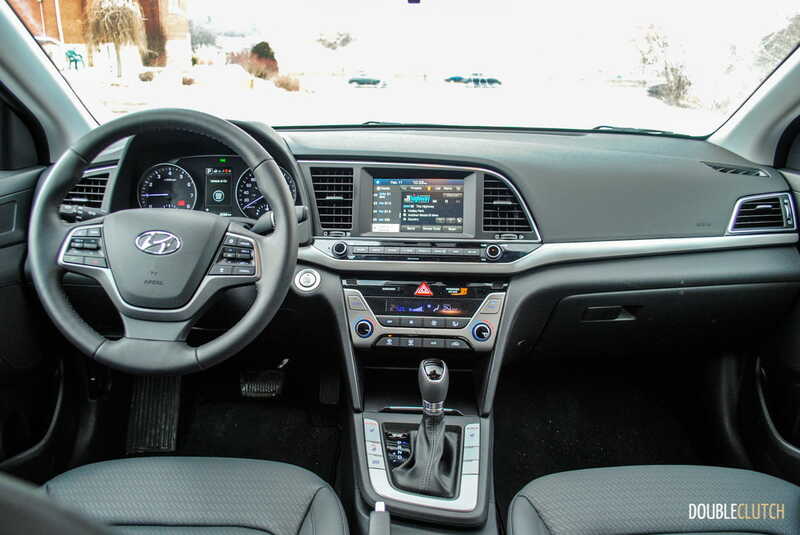 The interior of the Elantra actually follows in a similar suite; it’s very practically laid out and all of the controls are where you would expect them to be making it easy to just jump in and drive. The one exception to that are the audio controls on the 7” touch screen in my tester, which proved rather annoying. As expected with newer Hyundais, the Elantra comes kitted out with a lot of high-end features that you typically wouldn’t find at this price point. 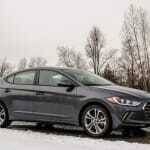 For example, all Elantra models come standard with heated front seats, and you don’t have to spend much more to really get an exceptionally well-equipped car. This tester, an SE model, which isn’t even the top tier trim, came equipped with heated rear seats, a heated steering wheel, power sunroof, leather seats, blind spot and lane departure warnings, autonomous emergency braking and even adaptive cruise control. 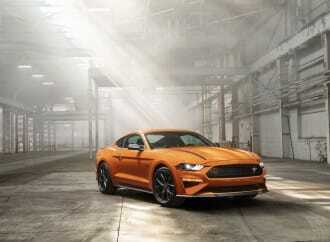 The MSRP came to $23,999, and at that price there is little justification to step up to the higher trim levels for options like an 8” touchscreen (compared to the 7” in my car), an Infinity sound system, or power seats. 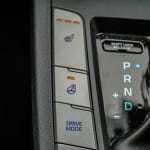 In fact, the adaptive cruise control alone tends to be a pricey option, and typically only found in much more expensive premium cars. 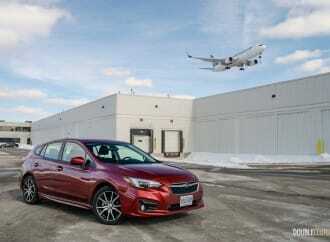 All the gadgets do make the interior feel modern and high-tech, which is appreciated and tends to make a good impression with first time passengers. 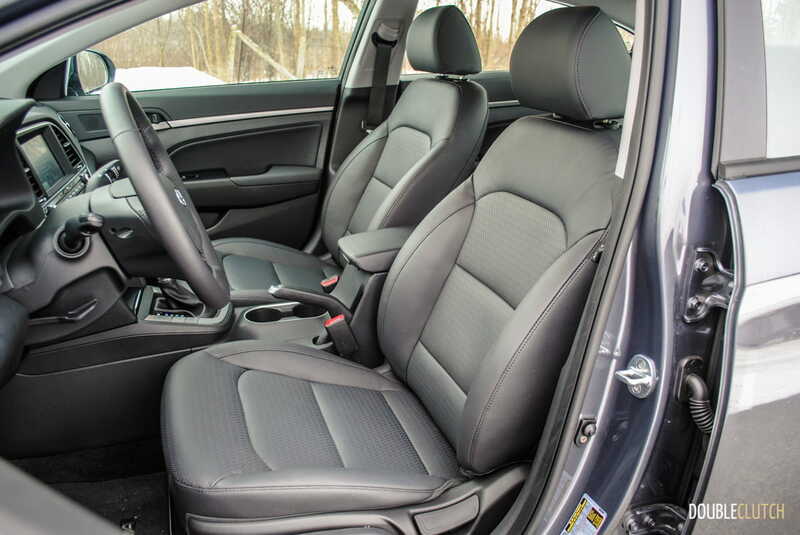 It’s worth noting that the leather front seats are exceptionally comfortable, even though you will need to adjust them manually. 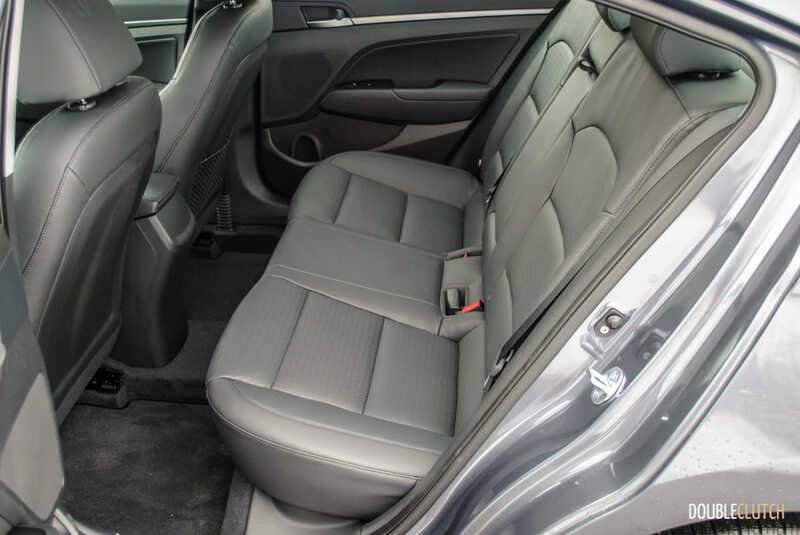 Space is also well utilized with decent storage up front and good head and legroom in the rear – more than enough for adults to make themselves comfortable. 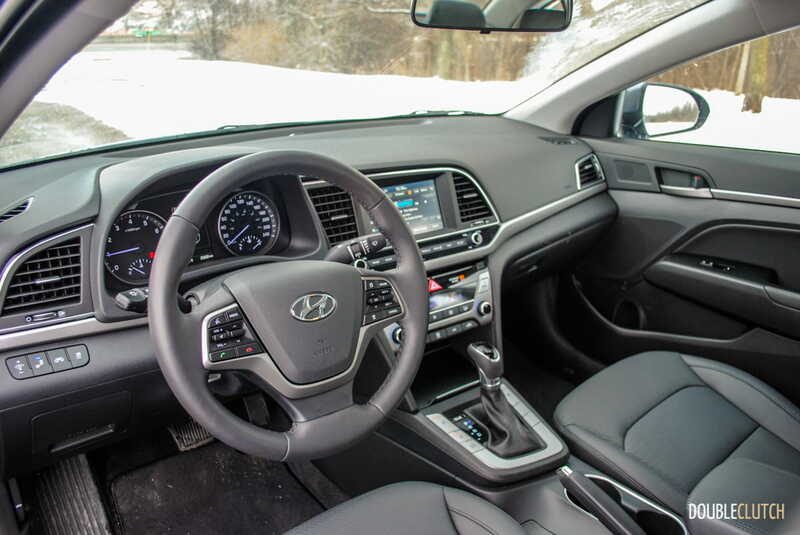 Of course, this isn’t a premium sedan, so when you really start to look around it does become apparent that the Elantra is an economy minded compact car. 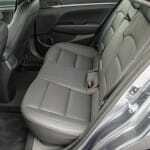 The door panels are made of a monotone hard plastic, as is much of the dash and centre console areas. 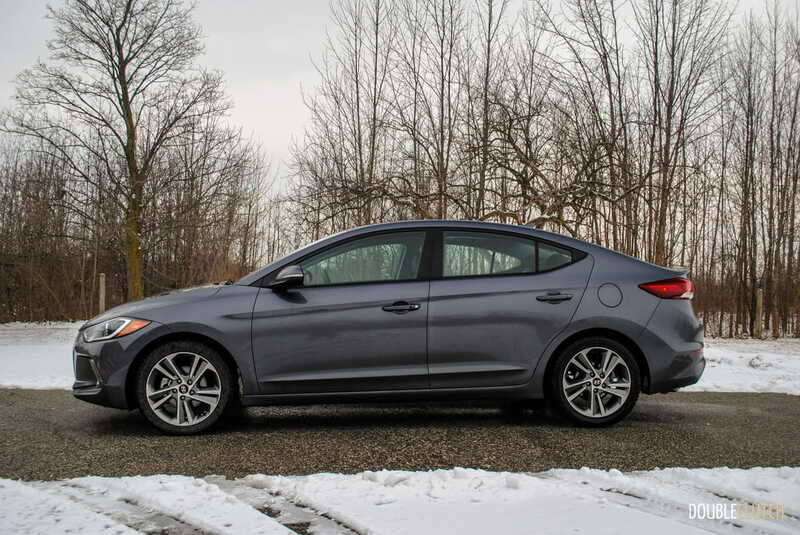 These are sacrifices one expects to make if hitting these price points, while still offering all the content that the Elantra does. 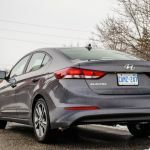 Hyundai has made a valiant effort to stiffen up the chassis in the latest iteration of the Elantra, and it has resulted in improvements to the overall driving experience. 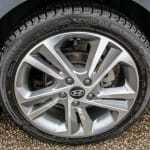 The stiffer chassis is more responsive and much quieter to ride in than the last car. 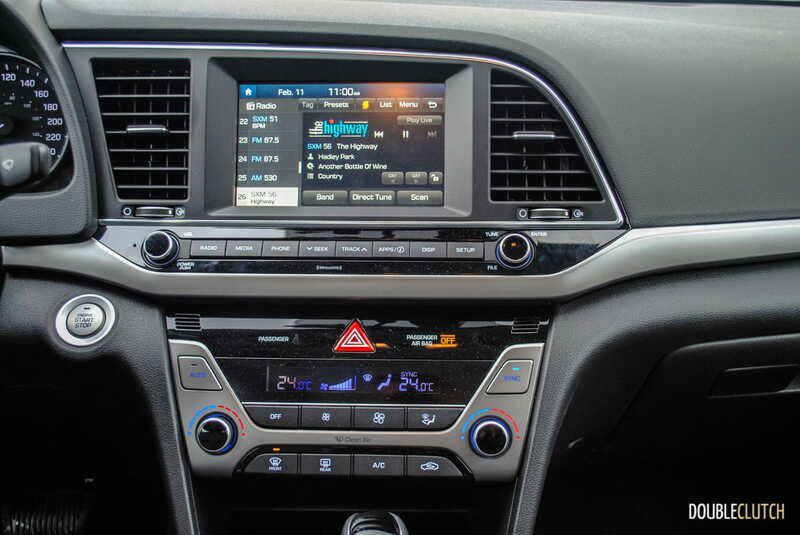 My colleagues argue that it’s the quietest car in the segment, though I would have given that distinction to the current Honda Civic (reviewed here). 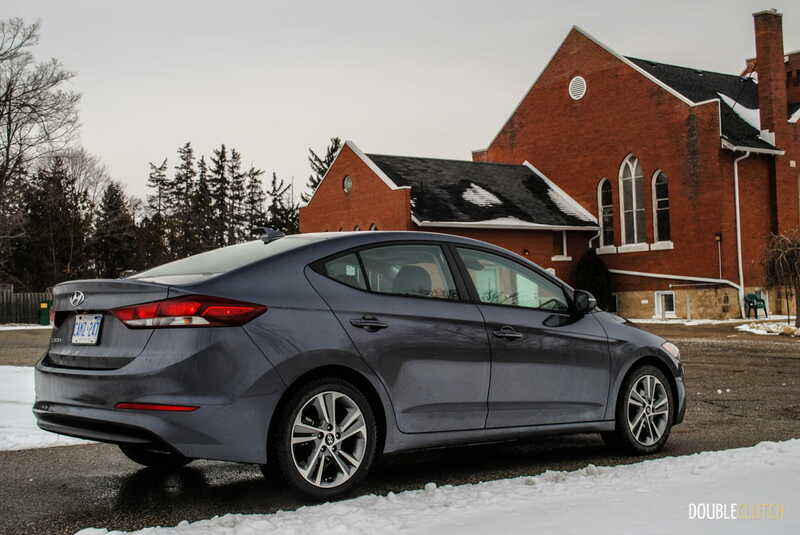 Either way, the Elantra is well insulated from sound. 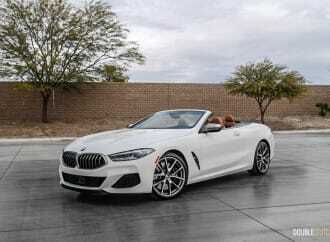 Where the driving experience gets rather lack-luster for me is when pushing the car to approach its limits. 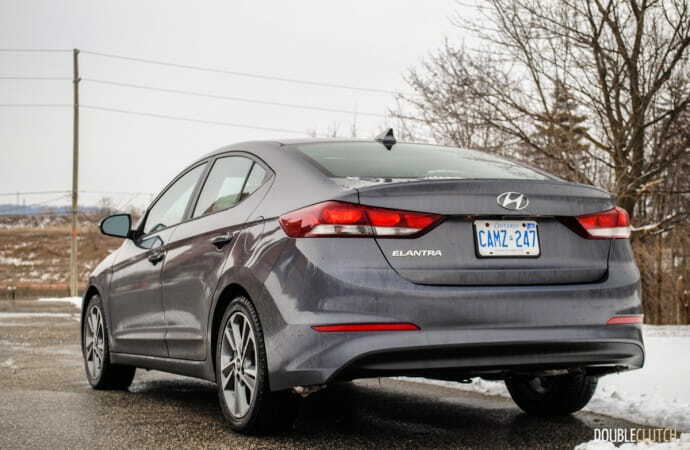 Regardless of which drive mode the Elantra is in (Sport, Comfort or Eco) its 2.0L Atkinson cycle inline four-cylinder feels a bit sluggish and underpowered, especially for highway passing. The six-speed automatic is responsive enough, but seems to get confused while driving in stop and go traffic or dealing with steep grades. Many buyers likely wouldn’t notice, but to an enthusiast, the dull powertrain can be a bit frustrating, especially when compacts like the Mazda3 (reviewed here) really do put some fun into the daily commute. 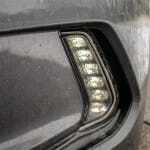 A similar theme continues to the handling as well. 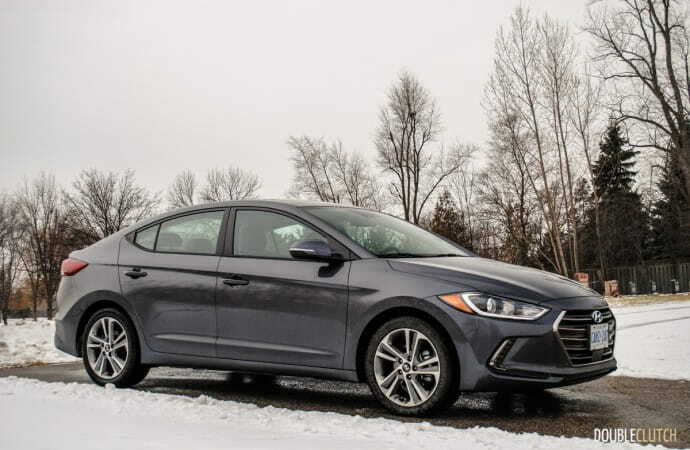 While the Elantra rides comfortably, and the steering response is quick and direct, there is almost no feedback or feeling in the wheel, which in a light car like this doesn’t lend itself to a really confident driving experience. 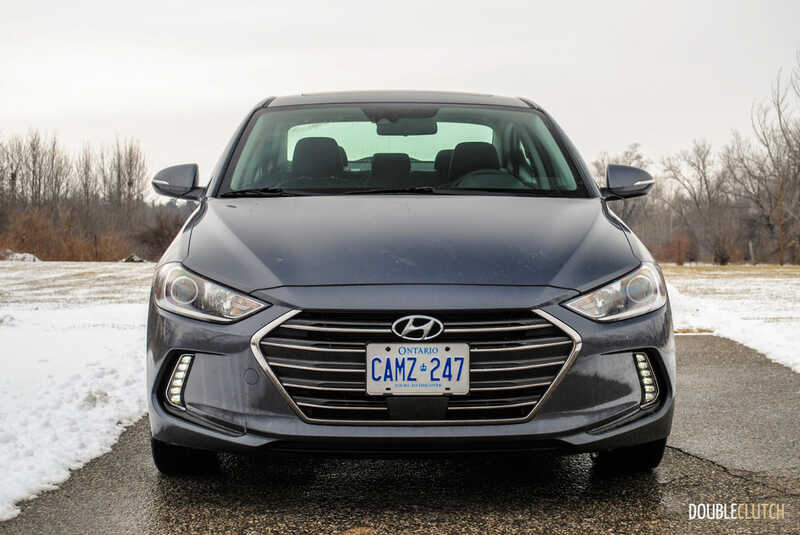 Highway driving is the same, where the lack of on-centre feel doesn’t allow for the same sense of stability that I’ve come to appreciate in a lot of similar cars, including the smaller Chevrolet Sonic (reviewed here). 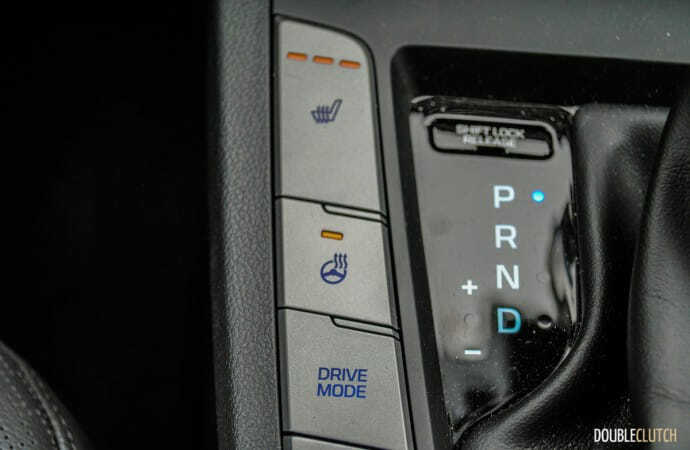 Keep in mind though, these gripes are coming from an enthusiast, not your typical compact buyer, who is probably a lot less likely to notice or weigh their decision heavily on driving dynamics. 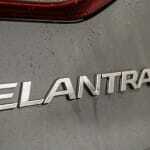 What does matter to many commuters though, is fuel economy, and the Elantra does deliver in this department. 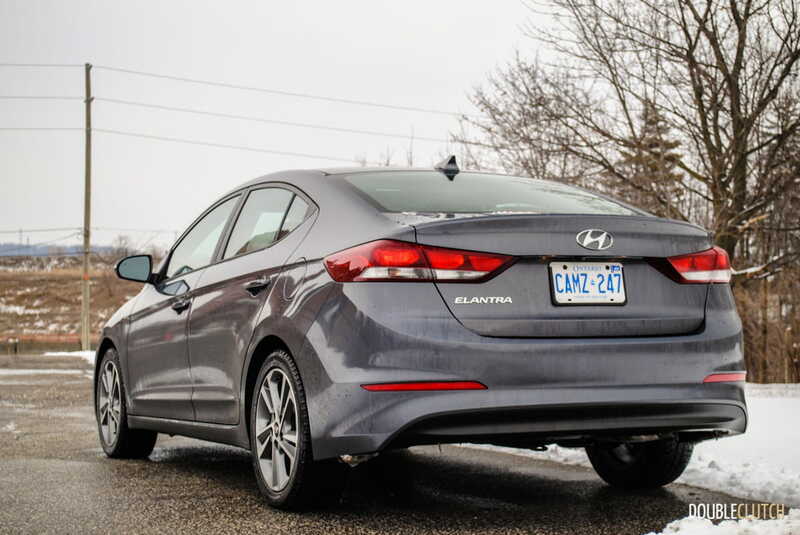 Despite the cold weather, and even one particularly slow and snowy commute the Elantra ended the week with an average economy of 6.9L/100km. It’s hard to fault that and this right in line with the rest of the segment. 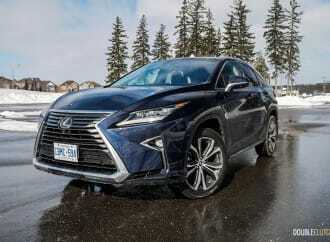 Speaking of snowy drives; this particular vehicle came wearing high quality Michelin X-Ice Xi3 winter tires (reviewed here), and got me through a serious storm safely without incident. 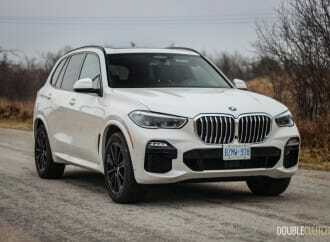 However, the car’s relative lightness, and again, the lack of steering feel, made it noticeably tougher to maintain a good driving line through big accumulations of snow or slush. 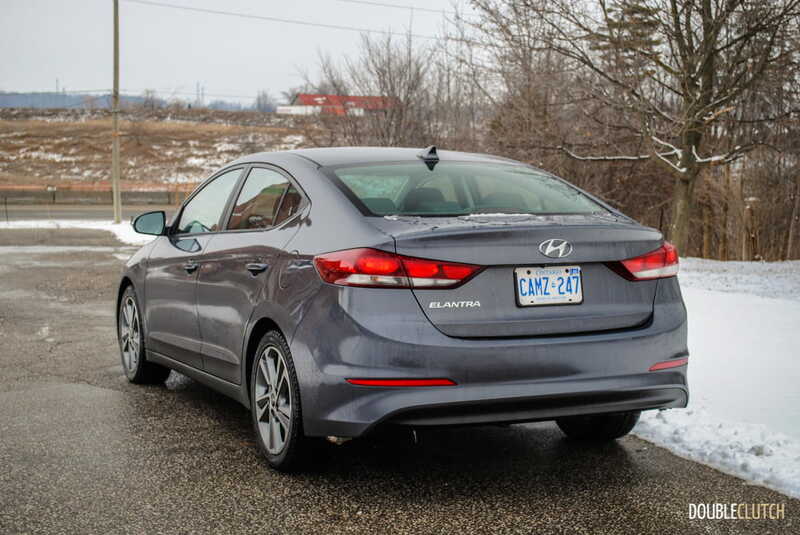 This is fairly typical of most front-wheel drive compacts though, and I am confident the Elantra is more than adequate for winter here in the Toronto area, but if I were further north into the Snow Belt, it’d be worth trading off the Elantra’s refinement for the brutish capabilities of a Subaru Impreza (reviewed here). 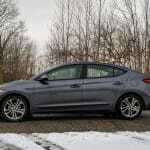 It is without doubt that the Elantra is going to continue to sell well, and lead Hyundai’s growth. 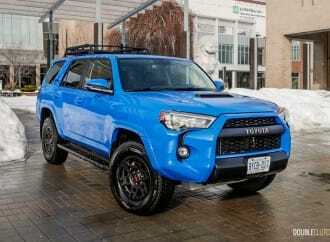 This is a comfortable, affordable and well-equipped commuter with a lot of refinement, and that’s all a lot of compact buyers are looking for in their next appliance. 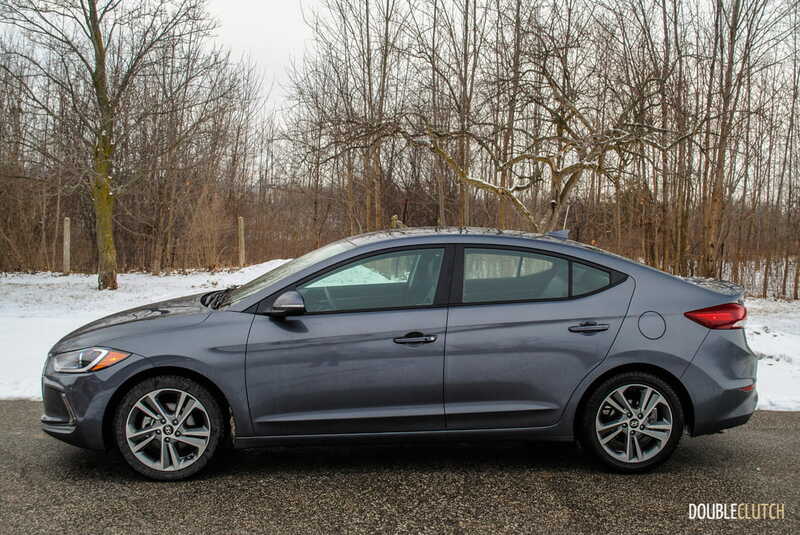 When taking into consideration that this 2017 Hyundai Elantra SE costs less than $25,000, it’s hard to ignore the value.